Now that baby man is here, getting out of the house with friends has definitely been a little harder. Thankfully, both we and our friends are huge board game fans, and we're always down for a fun game night at home. 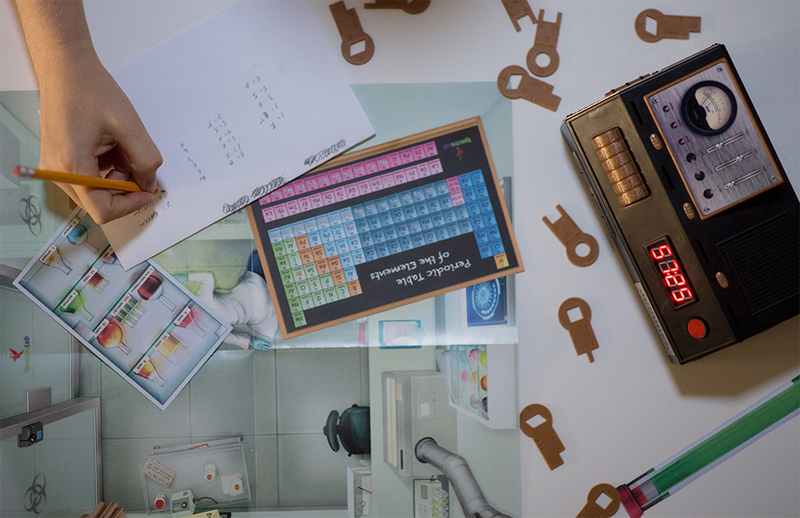 Instead of playing video games endlessly (not always a bad thing) we like to mix it up and try new types of games, so this time we gave Escape Room the Game a shot! Inside this game there are four different stories to pick from: Prison Break, Nuclear Countdown, Temple of Aztc, and Virus. This night we chose Virus, and began by reading the short included back story to set the mood. The game officially begins with 60 minutes on the clock leaving everyone to work together to solve quite a few intertwined puzzles before the time is out. Your task is to move through the story by solving each puzzle, identifying keys, and using the keys to stop the clock. The pressure is real! To make it extra fun there's an app you can download to add a little soundtrack to each of the different themes. It really sets the mood. I'm not going to lie, it also made the game a little more stressful, but in a totally fun way. I think what I loved about this game the most is that once the game starts you don't have any real directions. There is no "Start Here", you're just given several different pieces and left to piece it all together. It definitely took all of us a little bit to get the ball rolling, but once we got the hang of it we were scribbling down notes on pieces of paper and having a blast deciphering all the puzzles and key codes. While we tried our very best to put together all the clues before "dying", we unfortunately got stuck on Phase 3 where our time ran out. It didn't matter, though, we had a great time trying. 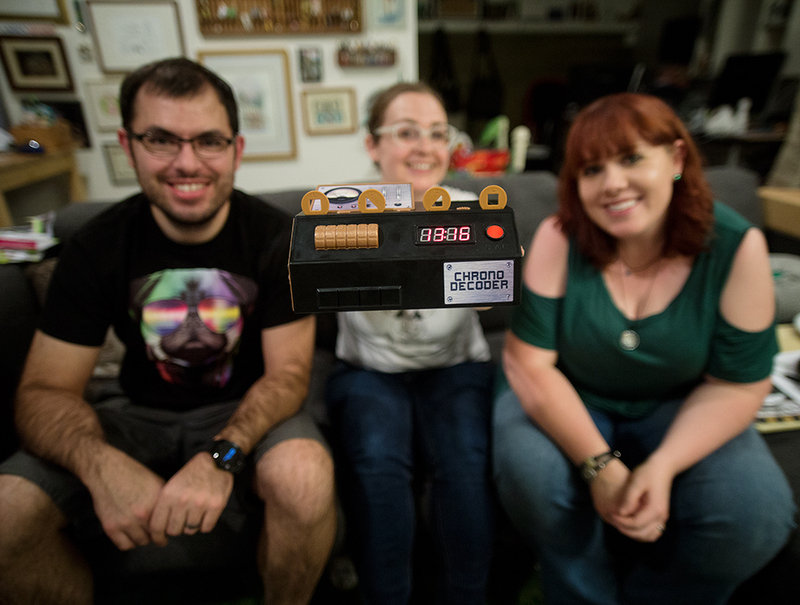 It took us another 13 minutes or so after losing to figure it out and stop the clock from counting, haha, but we're already planning our next game night so we can tackle one of the other themes. I had no idea what to expect, but this was a really fun hour of gaming, definitely excited to play another theme this Thanksgiving weekend with family. 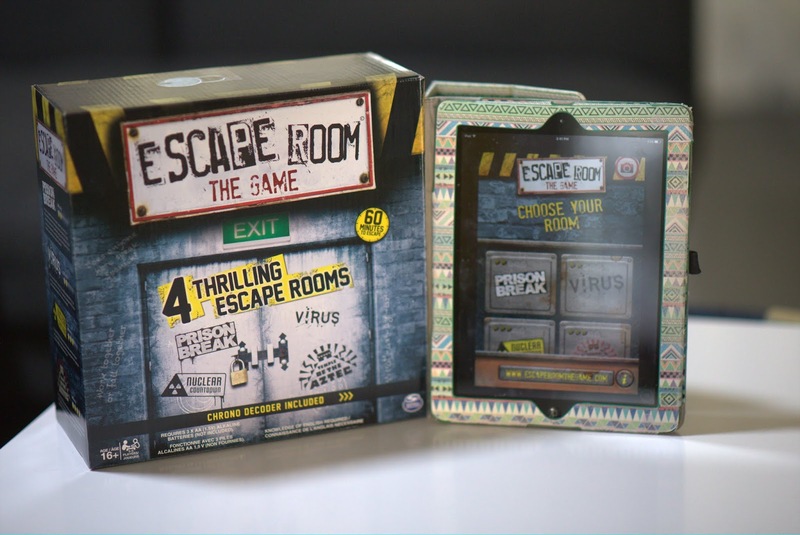 If you guys are looking for a new game to add to your game night rotation I highly recommend Escape Room The Game!